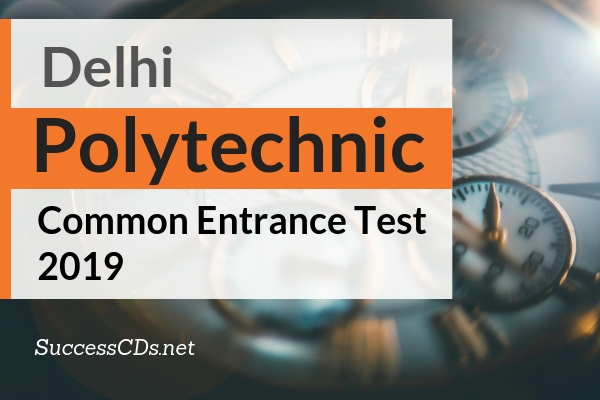 Check this page for more information about Delhi CET 2019 Application Form, eligibility, how to apply and important instructions. The Dept. 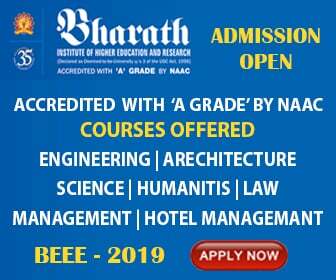 of Training & Technical Education plans to admit students to first semester/ first year for the academic session 2019-20 for various Full-time Diploma Programs (Engineering and non-Engineering) being offered at Institutes affiliated to the Board of Technical Education (BTE), Delhi, through the Common Entrance Test (CET 2019). Controller of CET 2019, on behalf of Delhi Knowledge Development Foundation, under Dept. of Training & Technical Education shall conduct the Common Entrance Test (CET-2019) and shall announce the centers where the tests shall be held. Intake is restricted to 10% of intake in analogous disciplines and is over and above the sanctioned intake approved by the AICTE. 12th of (10+2) Vocational Engineering Stream/ITI pass outs from outside Delhi are not eligible for admission against the above seats. Each question shall carry four (04) marks. There will be negative marking for incorrect answers. One (01) mark will be deducted for each incorrect answer. Tests will be of two hours and thirty minutes duration and will carry 600 marks. A Centre once allotted by the Controller of CET-2019/Principal, IIT Dwarka will not be changed and no request in this regard will be entertained under any circumstances. In case of any discrepancy in the bilingual question papers pertaining to Test Nos. 1, 4, & 5 the English version will be considered as the correct version.